The key to a successful performance is hours and hours of practice. 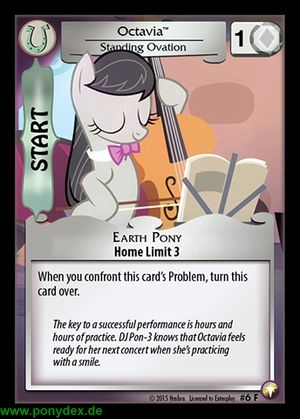 DJ Pon-3 knows that Octavia feels ready for her next concert when she's practicing with a smile. 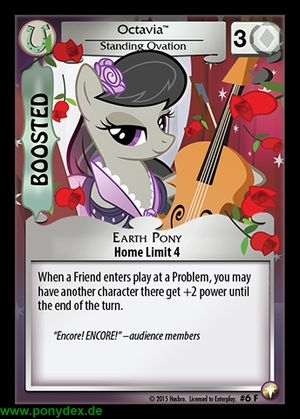 When a Friend enters play at a Problem, you may have another character there get +2 power until the end of the turn.